Camp Daggett offers eight one-week coed camping sessions starting in mid-June and ending in mid-August. Campers range in age from 7 through 14 years. They are housed in rustic cabins designed for 10 campers and two staff members. 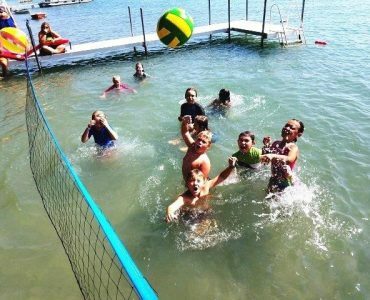 Camp Daggett has evolved from tent camping with outhouses and no electricity to a beautiful 13,000 square foot lakefront cedar lodge built by Town & Country Log Homes and 12 camper cabins with two shower and restroom facilities. 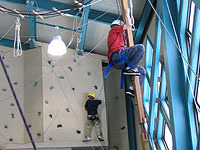 Participants can challenge themselves on a three-sided, 40-foot climbing tower with six attached high ropes-course elements. 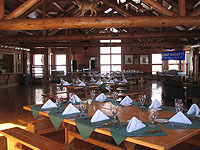 The CDAC is located in a beautiful wooded setting but leadership programs can be delivered off-site as well. All programming is available for adults as well as children. 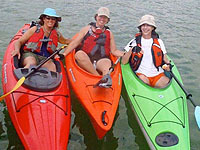 Camp Daggett hosts lots of popular events including Mother Daughter Weekend, Father Son Weekend, Torchlight Snow Shoe, Annual Golf Benefit, and Kayak for a Cause on Walloon Lake, all of which helps raise funds for Camp Daggett. Get your Save the Dates for 2019 Now! Would you like to help support Camp Daggett? You can do a world of good for kids at Camp Daggett by donating online!